A stand dedicated to specialized and utility tractor ranges. 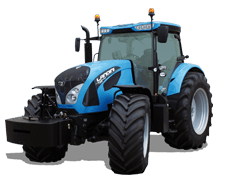 Landini intends to focus on these machines at Agritechnica 2017, the eagerly awaited November appointment devoted to innovation in the agricultural machinery industry. 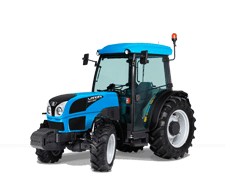 Landini Rex 4 in cabbed versions V, GT and F proposes important innovations, such as the 4-cylinder 2.9 l. (TCD L4) Deutz Tier 4 Interim engines without DPF, equipped with just EGR and DOC. The Engine Memo Switch, which memorizes the engine rate, is part of the standard equipment. 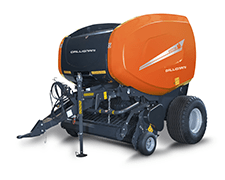 At 2200 rpm, the maximum power ratings for the 6 models range from 70 HP to 112 HP, while the operating range is extra-long thanks to the 80 l. and 90 l. fuel tanks. 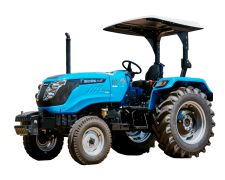 Manufactured by Argo Tractors, the transmission features a mechanical or hydraulic reverse shuttle, 4 speed gears and 3 ranges. Two optional systems: Hi-Lo and High-Medium-Low, can also be added as well as the creeper. 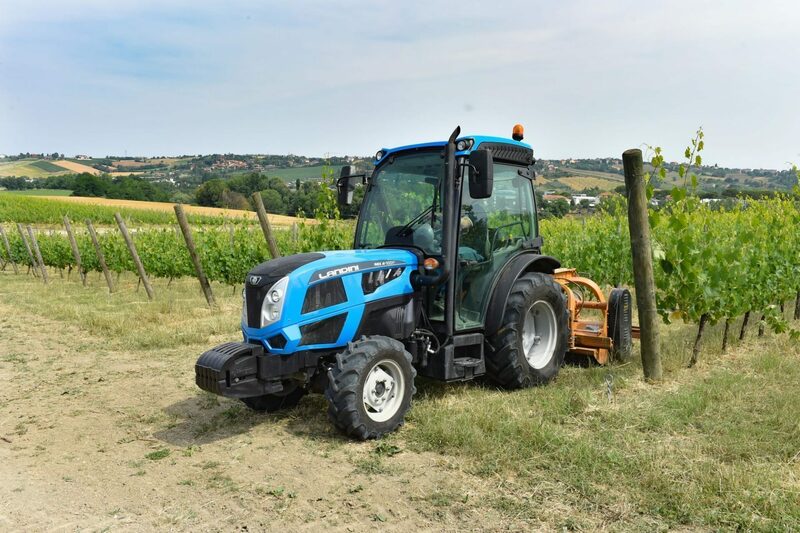 Available with 2- or 4-wheel drive, Landini's REX 4 offers a wide choice of power take-offs with mechanical or hydraulic versions available and even a four speed version (540, 540 Eco, 1000 and 1000 Eco). The versatile hydraulic circuit with either 28+50 l/min double pump or 28+41+41 l/min triple pump is another key feature of the range. The circuit is completed by midmount control valves, flow selector and flow divider (optional). Mechanical (3) and/or electrohydraulic (up to 7) control valves are available. 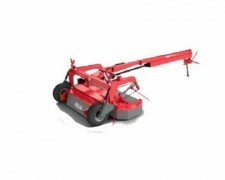 The maximum lifting capacity is 3,400 kg. 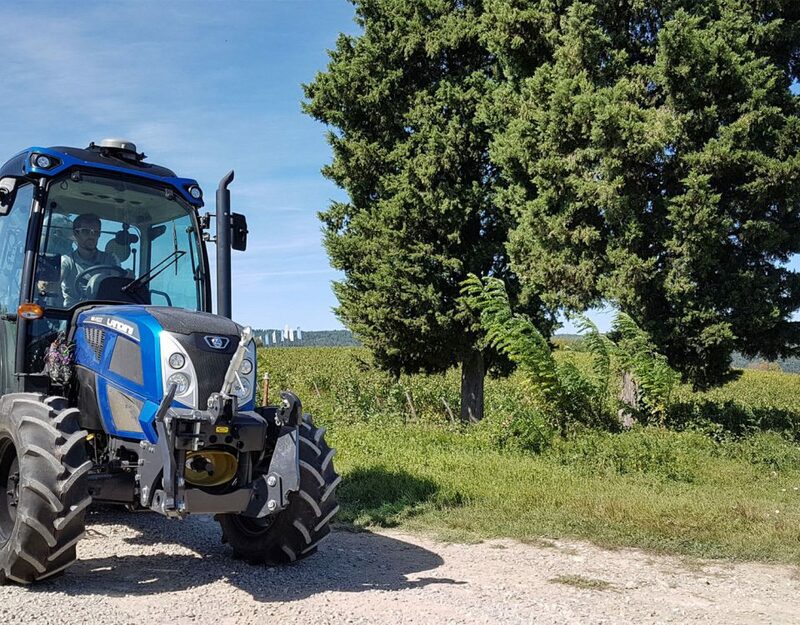 REX 4 proposes a revamped, dynamic look: the restyled cab features redesigned ergonomics and an optimized operator station with flat central tunnel, improved forward vision for optimized use of front implements (e.g. 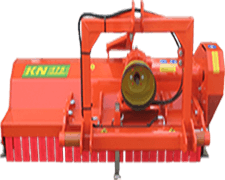 pruning attachments) and extremely high-level finishes. 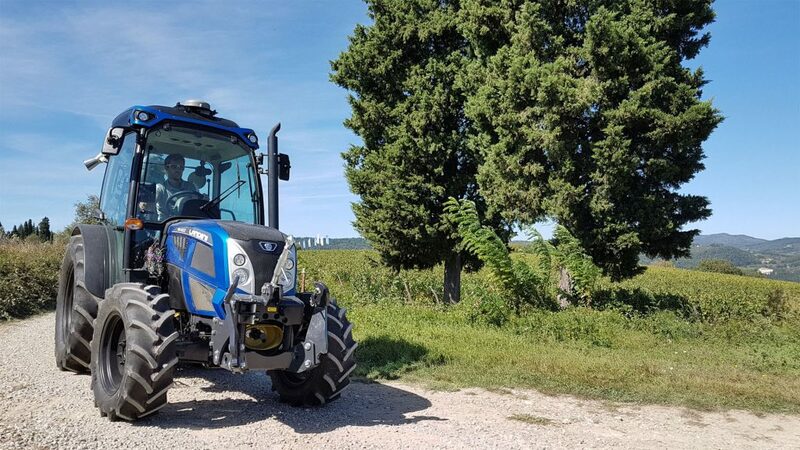 A “Class 4” cab with pressurization controlled by sensors is also available as an option and provides the operator with the highest level of protection when chemical treatments are applied. Easy to handle as always, Landini's REX 4 maintains its compact dimensions and 55° steering angle. The V version features additional models and options and has a dedicated High Pivot axle with increased swing to facilitate steering. Besides the rigid version with 4WD engagement and electrohydraulic diff lock, the front axle of versions F and GT now features a central suspension system for the very first time. 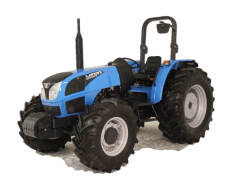 The 24”, 28” and 30” rear tyres of the GT version confirm the versatile vocation of this “wide orchard-compact open field” tractor. 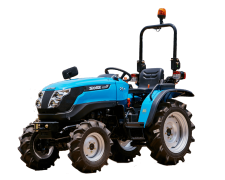 The Landini 2 Series comprises ideal all-purpose farming tractors which can also be used for municipal ground care. The range includes three models, 2-045, 2-050, 2-060 STD or GE and features 44 to 55 HP Yanmar engines. 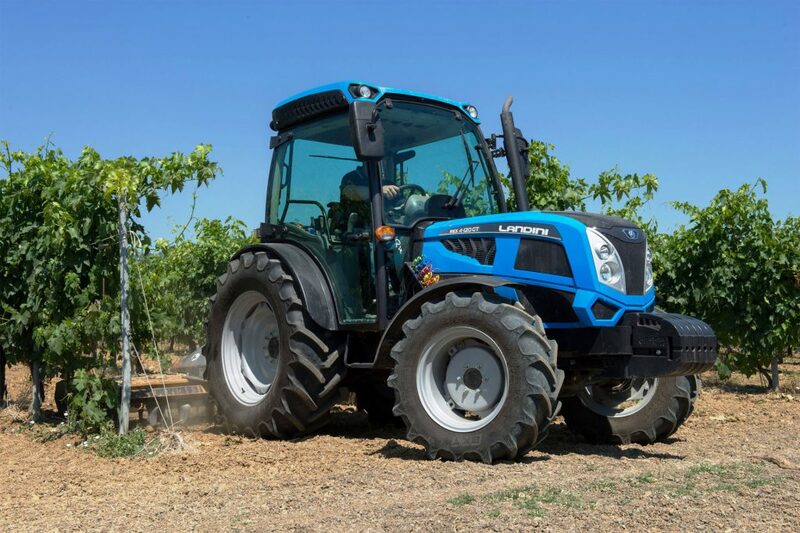 The attractively styled cab has a redesigned control layout for improved operator comfort. 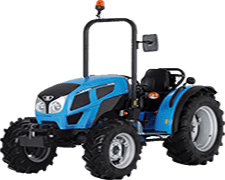 A modern, agile and compact range which can also be fitted with 24” tyres to obtain extremely reduced minimum dimensions: width 1,420 mm and 1,230 mm height to steering wheel. Optional 20” tyres are also available. 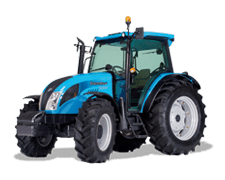 The Landini cabbed 4D Series is a sturdily built, functional range designed to improve the performance with which 4D Series customers are already familiar. 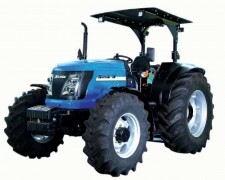 Models 4-070D, 4-080D and 4-090D feature 68 HP, 75 HP and 88 HP power ratings, respectively. 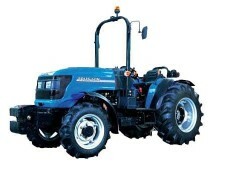 2WD and 4WD versions with Deutz Tier 4 Final engines are available. 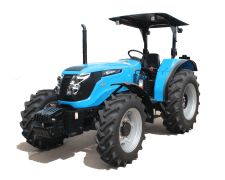 Made in Italy by Argo Tractors, the transmission is the mechanical type with 4 speed gears and 3 ranges (an optional 300 m/h creeper is also available). 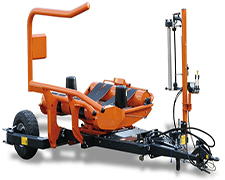 It has an electrohydraulically engaged 4WD (in the 4WD versions), 1 or 2-speed synchronized PTO, open-center hydraulic circuit with 45 l/min flow rate to supply the hitch and control valves, a rear hitch with up to 3,400 kg lifting capacity and assistor ram, one control valve as standard plus an additional 2 valves as optionals. To facilitate lifting/lowering operations, the hitch can be controlled by the Ergonomic Lift System (ELS), available on request. 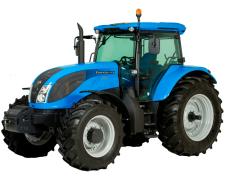 Landini Super Series: designed for non-EU markets, this series incorporates the specifications of products already well known in markets where non-emissionized tractors are allowed. 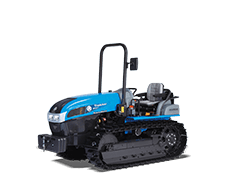 100% Made in Italy, the Super Series combines power, reliability and versatility and provides a high performance in many different cultivation jobs besides sporting an aggressive look, true to the modern Landini family feeling. 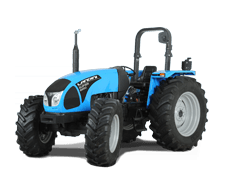 Ten models equipped with 4.4-liter Tier 0, Tier 2 and Tier 3 emissionized Perkins engines with 75 HP to 106 HP power ratings, 12+4, 12+12 or 24+12 transmissions (with creeper) and synchronized PTO. 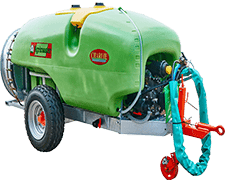 Up to 4,500 kg lifting capacity and 2 mechanical control valves supplied by a 52 l/min pump for services and 20 l/min for steering. 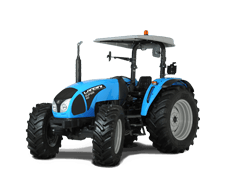 Besides the version with safety frame, Tier 0 and Tier 3 models are available with an original Argo Tractors cab derived from the well-known Powerfarm, featuring European quality standards and equipped with all comforts. 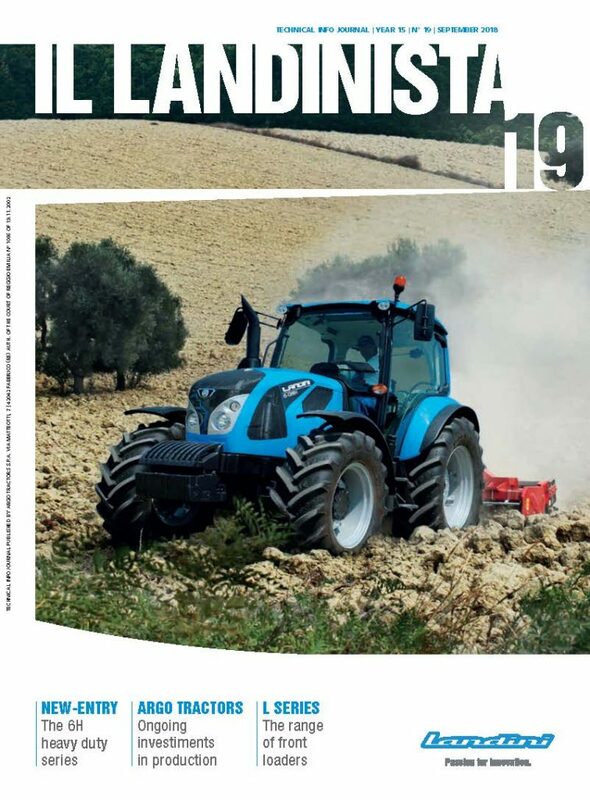 Landini Landforce: produced in two different models, Landforce 115 and Landforce 125 with 115 and 125 HP power ratings, respectively, these tractors are available either cabbed or in the footstep version on silent blocks with folding safety frame. 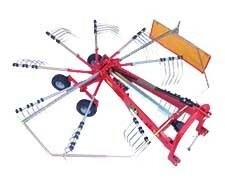 Sturdily designed machines that are easy to use and service with an impressive operating range. 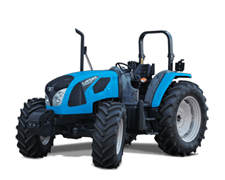 A tough and reliable 4-cylinder FPT NEF 4.5L Tier3 engine and 12FWD+12REV basic mechanical transmission or 36FWD+12REV transmission with the optional simple, strongly-built reverse shuttle ensure good performance and hours of untiring work. 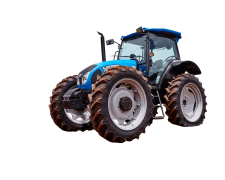 The electrohydraulically engaged 4WD and diff lock make these tractors easy to drive and handle with any type of implement. 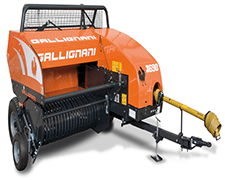 The mechanical rear hitch features 4500 kg lifting capacity with two supplementary rams. The hydraulic circuit provides 66 l/min in the open-center version and as much as 110 l/min in the closed-center version.